The ACER Select Series are quick and easily administered tests of verbal or numerical reasoning. They are suitable for recruiting in a variety of occupations, from sales and clerical, to junior management and graduate selection. They assess general intellectual ability as demonstrated by the ability to see relationships and solve problems in verbal and numerical material. The General Select is intended for candidates who are applying for technical, clerical, and administrative positions. The Professional Select is appropriate for candidates applying for positions where the work requires a high level of reasoning ability, or where these qualities will become more important as staff are promoted, e.g. graduate recruitment, managerial, or leadership roles. 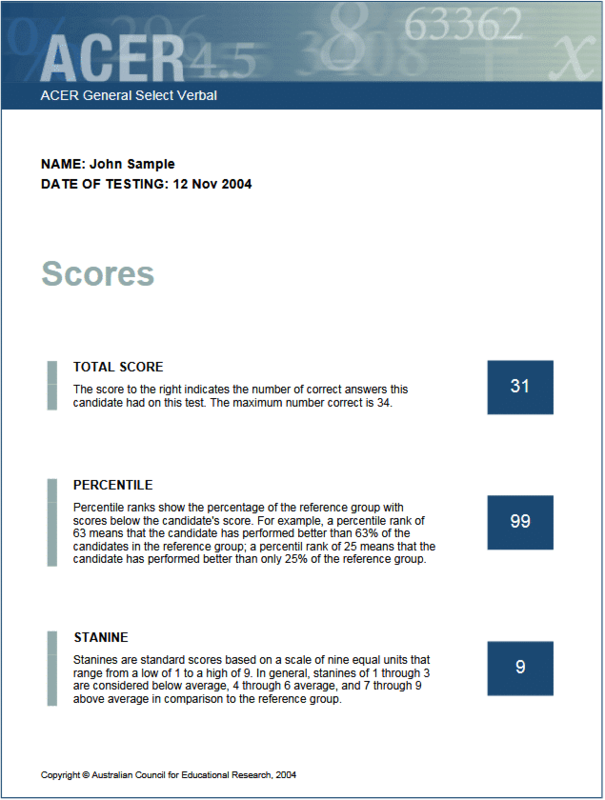 The report provides the candidate’s total score, percentile score, and stanine.